Our Op Amp Shootout page has always been the site’s top post. I’m always on the lookout for new and better Op Amps I can use in our products and I am continually updating the page as new products come along. I’m never satisfied with the current offerings. Typically, you either have ultra-low noise OR very low power, but not both. Somehow, these are conflicting requirements. See the Shootout link to understand what I am talking about. For benchmark, in terms of low-noise performance, anything close to the 5532 (and its sibling, the 5534), with 5nV/√Hz noise figure (3.5nV/√Hz for the 5534) is wonderful. But the 4mA quiescent current consumption of these audio Op Amps is unacceptable for low power operation, especially when using batteries. 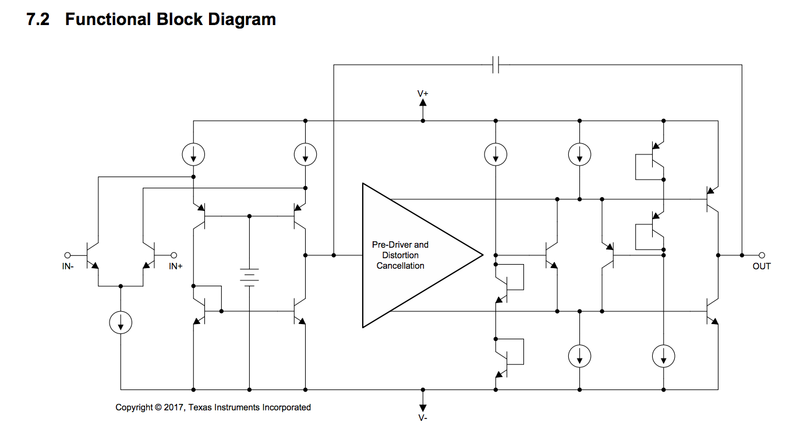 For some background information, I invite you to read the series of articles by Douglas Self (EE Times) Op amps in small-signal audio design (part1, part2, part3, part4). For applications requiring batteries, like that ubiquitous 9v battery found in typical active guitar electronics, I’m always searching for Op Amps in the 500μA range. My current favorites are 1) NJU77806, from JRC New Japan Radio Co., LTD, with a noise figure of 5.5 nV/√Hz at 1kHz while consuming only 500μA. But the NJU77806 can only go up to 5.5v supply, making it a nonstarter for 9v operation. So, for low power, my other favorite is 2) OPA180 from Texas Instruments, with a quiescent current: of 525 μA (max), but with a noise figure of 10 nV/√Hz at 1kHz. Looking at that spec, it’s not quite at par with the 5532 (or the NJU77806), but in reality, with very low 1/f noise, the 180 performed quite admirably in our noise tests. The 180 can operate from 4.0v to 36v. I’ve always wanted to release a very high headroom preamplifier for our pickups. 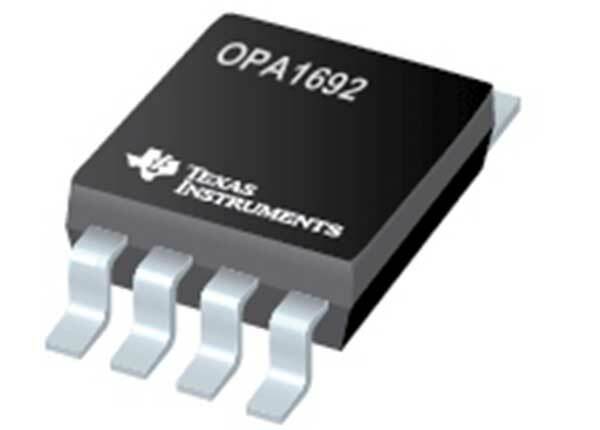 Now, there’s this new kid in town: The OPA1692 – SoundPlus Low-Power, Low-Noise, High-Performance Op Amp from Texas Instruments. Hey, Low-Power AND Low-Noise! Have your cake and eat it too? The OPA169x operational amplifiers achieve a new level of performance for low-power amplifiers with a low 4.2-nV/√Hz noise density and distortion of 0.000045% at 1 kHz. These op amps offer rail-to-rail output swing to within 150 mV of the power supplies with a 2-kΩ load, which increases headroom and maximizes dynamic range. These devices also have a high output drive capability of ±50 mA. The OPA169x operational amplifiers operate over a very wide supply range of ±1.75 V to ±18 V, or 3.5 V to 36 V (on only 650 µA of supply current per channel), are unity-gain stable, and provide excellent dynamic behavior over a wide range of load conditions. The OPA169x family of amplifiers uses a propriety technology to reduce signal distortion that does not increase the power-supply current. The distortion cancellation technique reduces odd-order harmonic distortion, which is produced by the input transistor pair of the amplifier. I’m getting some samples for testing as soon as they are available!